“A great champagne is first and foremost a great wine..” agree? 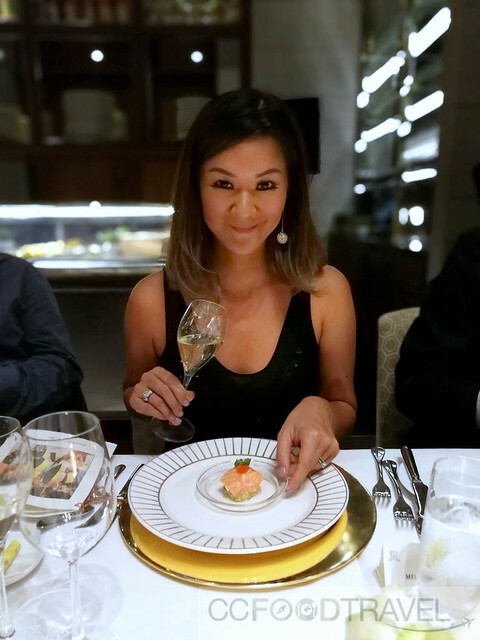 And I am definitely not one to turn down an exquisite, finely paired champagne dinner at the St Regis KL for anything. 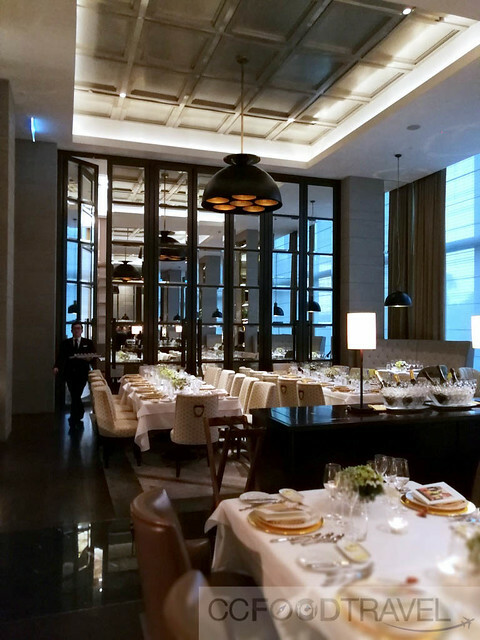 A five course French dinner at the St.Regis in Kuala Lumpur to be precise, paired with Champagne Salon and Champagne Delamotte. 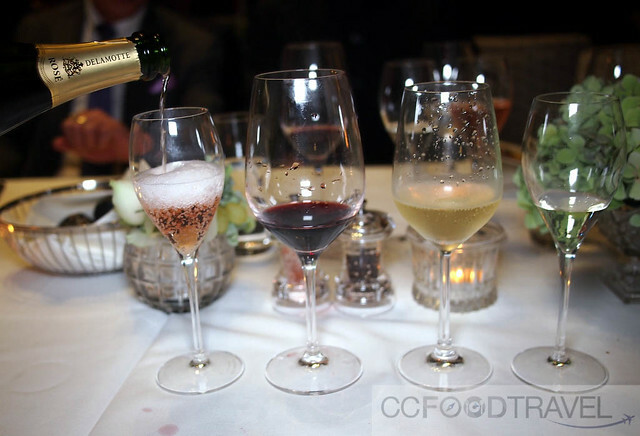 Attending this tasting experience was the President of Salon and Delamotte, Mr. Didier Depond and we got to talking with him. 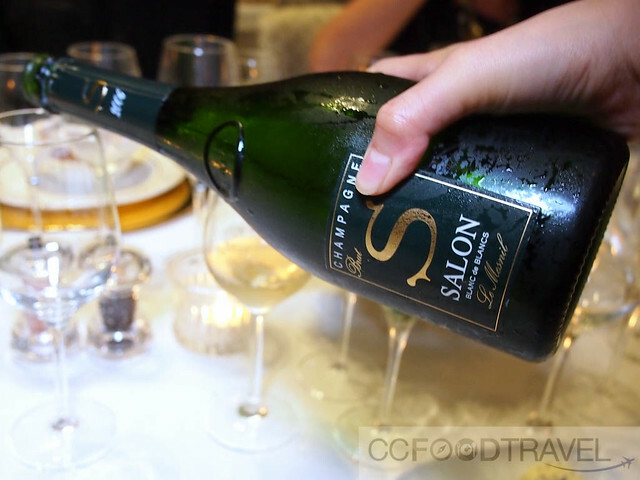 Salon is one of the rarest and most esteemed champagnes in the world. Its small production consists of only one cuvée – a Vintage Blanc de Blancs (100% Chardonnay) from one village only, a grand cru – Le Mesnil-sur-Oger. When Salon does not declare a vintage, the wines go to Delamotte, Salon’s sister property and neighbor. 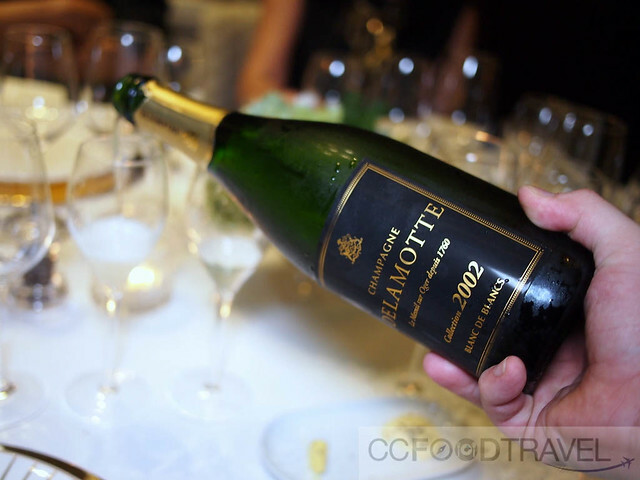 Because of that, the Delamotte Champagnes are often mentioned as an after thought. That is a shame, because the Delamotte Champagnes are fantastic in themselves, an deserve to be appreciated on their own terms. 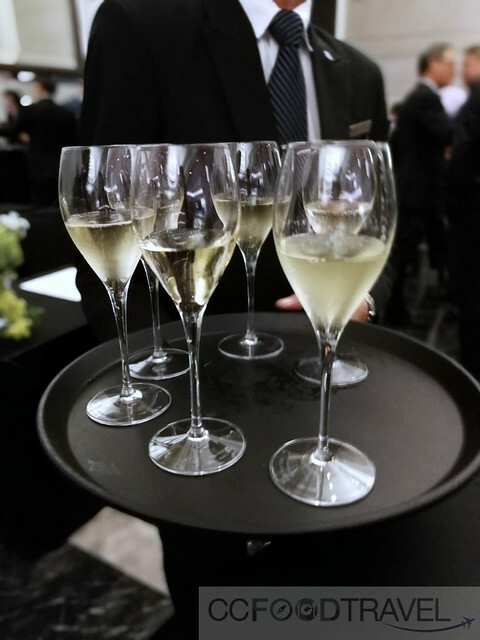 Top vintages such as 2004 and 1996 are renown worldwide as top notch champagnes. 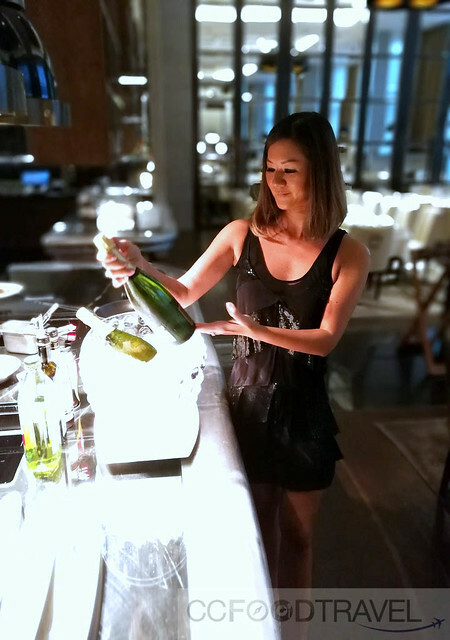 The house of Salon is located on the Côte de Blanc and produces what connoisseurs consider to be the quintessential Blanc de Blancs. Only about 60,000 bottles are produced if at all from over 40 year old vines in Le Mesnil-sur-Oger, Salon is not made every year and on average is makes only 3 vintages per decade and in the last century only 37 vintages has been declared making it the most sort after champagne in the world. Delamotte was founded in 1760 and is only one of 5 houses located in the heart of the Côte de Blanc in Le Mesnil-sur-Oger. It is said to be Chardonnay ‘s greatest advocate in champagne and produces only 800,000 bottles annually. 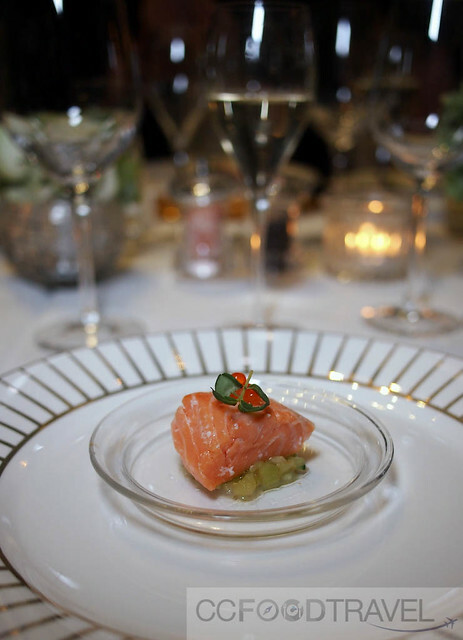 Off to a great start with this Salmon paired with the Non Vintage Blanc de Blancs.. fresh, cirtusy and sharp, it complemented the amuse bouche nicely. This vintage was my favourite for the night. The 2002 possessed fine bubbles and texture, with crystalline minerality – definitely a structured and elegant champagne. 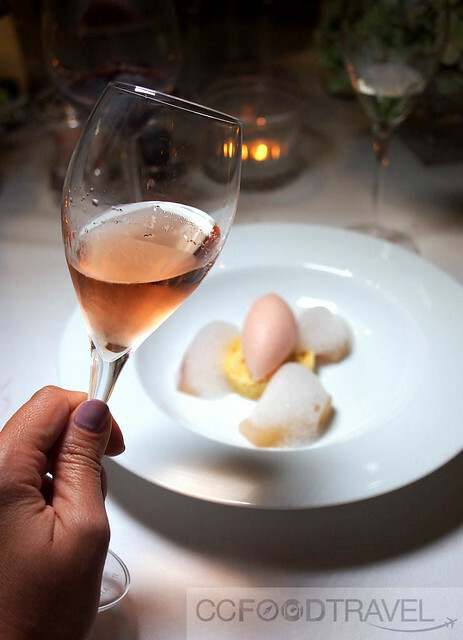 They also served a Burrata Ice Cream, Shaved truffle, with this same, champagne – Delamotte Blance de Blancs 2002. Dry, fresh and a good balance between fruity with minerals complemented the ice cream laced with truffle. I could hardly make out the Burrata flavour which was a little strange since I was expecting a more cheesy experience. The name Le Mesnil resonates in a special way with lovers of great wine. Nestled in the heart of the Cote des Blancs, 100% Chardonnay and 100% grand cru, this is the king of Champagne vineyards. 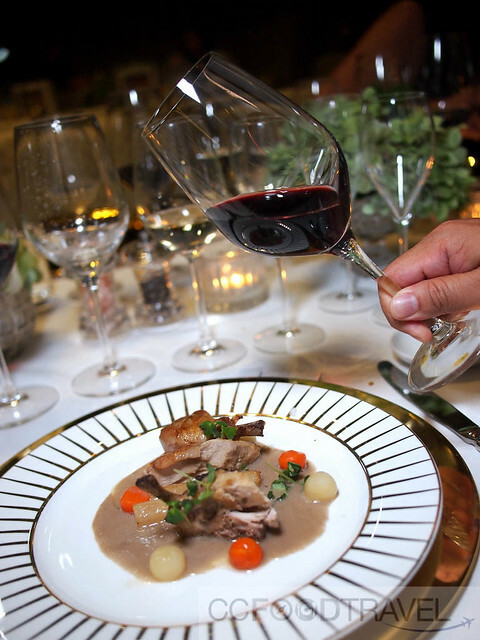 Matching Salon 2006 to food is a wonderful thing. I would have preferred slices of Iberico ham perhaps, but too bad St Regis doesn’t serve pork at The Brasserie. The 2006 however, is a young Salon and needs time to come into its own. Notes of white flowers, citrus zest and dried apricot comes to mind. Loved the sharp palate structure but like I said, I would probably not have paired scallops with it. Not a particularly memorable dish nor pairing for me. The balance between the dominant Pinot Noir and the smaller percentage of Chardonnay in the Delamotte Rosé gives this wine its beautiful pale rose color. The wine had lovely tiny bubbles with strong fruit aromas. 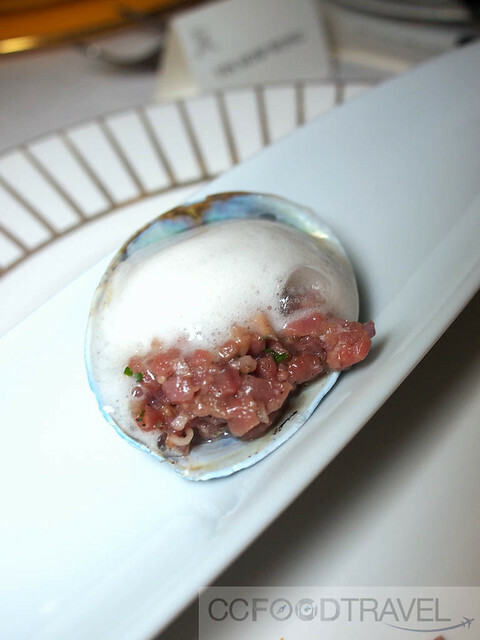 Balanced, rounded with a hint of acidity, it paired well with the poached peaches and sorbet. 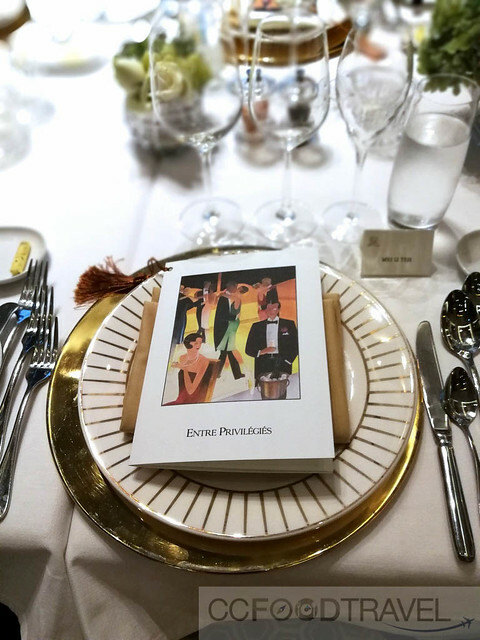 The champagnes served during this dinner were among the crème de la crème, available in Malaysia, super luxurious and finer than fine.. making this dinner the one to top this year. Dinners not dissimilar to this one, can be booked via diineout.com . Previous articleChir Chir Fusion Chicken Factory – New Flavours Rule! 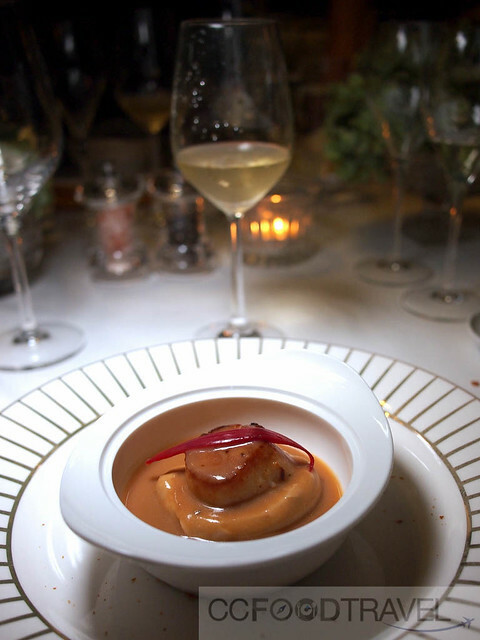 ahh that’s one fine looking scallop dish.